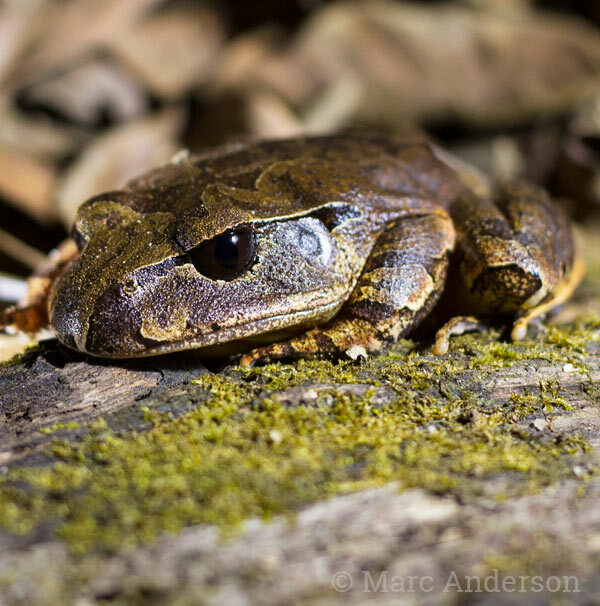 Northern Barred Frogs (Mixophyes schevilli) are a large frog endemic to wet tropics of Queensland. They are found on the ground storey of tropical rainforests, often near streams and well-camouflaged in the leaf-litter. The tadpoles of this species are particularly large – up to 12.5cm in length! This species makes a few different calls, most commonly a very deep, single ‘wonk’ note, although often giving as a faster series of multiple notes. They also make a hoarser, wheezy ‘waark’ note. This species is particularly vocal in the rainy season. BMN3 This sample captures a variety of typical calls of the Northern Barred Frog. Recorded in tropical rainforest along Black Mountain Road, Kuranda, Queensland. 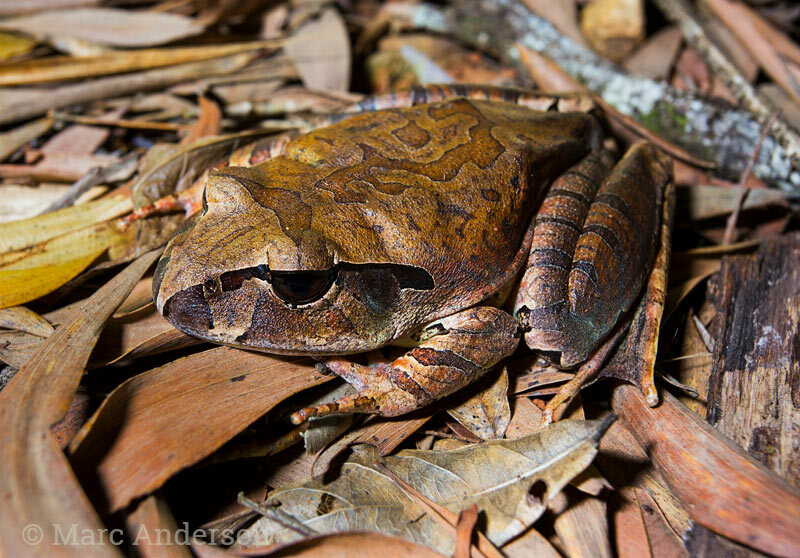 Northern Barred Frog (Mixophyes schevilli) camouflaged in in leaf litter, Kuranda National Park, Queensland.